It’s prudent to have a cash emergency fund to tide you over if something unexpected happens. It’s also a good idea to hold some cash as part of your investment portfolio. So where should you keep your cash? Keeping your cash in the bank is one of the safest ways to store it, but it’s also likely to give you the poorest return if it’s in a cheque or basic account. These accounts have their advantages in that you can access your cash instantly. You could opt for a savings account. If you opt for an account with a notice period, you may earn slightly more in interest, but it’s not going to be high. Another option is to hold your cash in a money market account at your bank. This tends to pay a better rate of interest, but there is a minimum deposit. 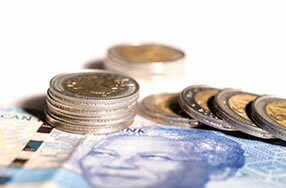 This is usually between R15,000 and R20,000. You should be able to access this cash instantly too. This is another low-risk option for holding your cash. You may get slightly higher rates of interest than you would from the bank, but you need to weigh this up against the fees you pay. These types of funds tend to pay out interest monthly. If you don’t need access to your cash for a few years, government retail bonds are well worth considering. The interest rate can be better for what you’d get from locking your cash in the bank with a fixed deposit account. It makes sense to have enough money in an instant access account to cover any unexpected event. For the rest of your cash, you should put it somewhere where the interest is higher, so you at least earn something over inflation. So there you have it. How to manage your cash.